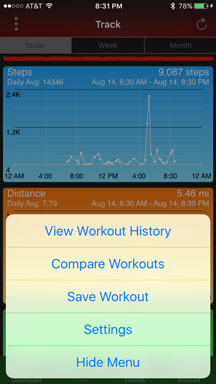 GO™ Activity Tracker allows quick and easy access to your most used activity metrics. 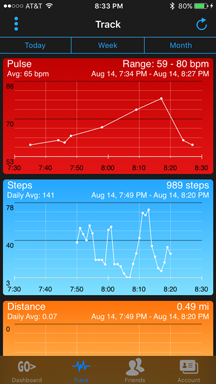 You'll be able to view your Heart Rate's average, min and max for a variety of past and present time frames. 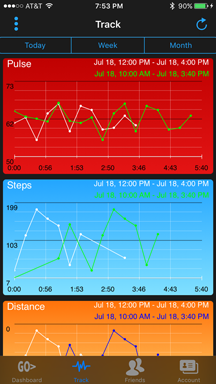 Steps, floors climbed, distance walked/ran and calories burned are also displayed. 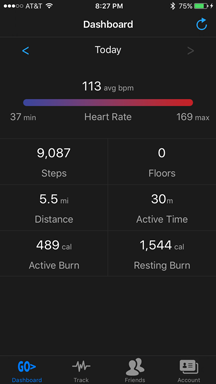 Save and share your workouts with other fitness enthusiasts. 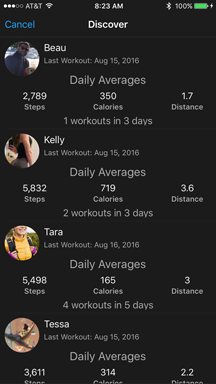 Follow and compare your workouts with others. It's free so download it, give it a try and GO push the limits! Cocoalena delivers custom software application development solutions for the Web, Desktop, and mobile devices, that integrate with just about anything you have or can envision. ©2010 Cocoalena Software® | info@cocoalena.com | All rights reserved.